Bouncing is the fourth quilt in our new book, Modern One-Block Quilts. 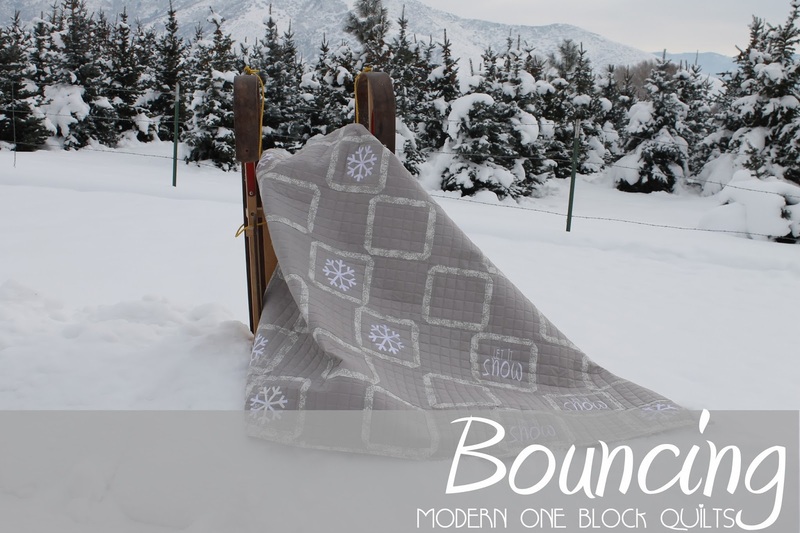 When Kathleen and I decided to re-make this quilt Kathleen immediately came up with the idea to use gray as our main color and have it more of a winter type quilt. 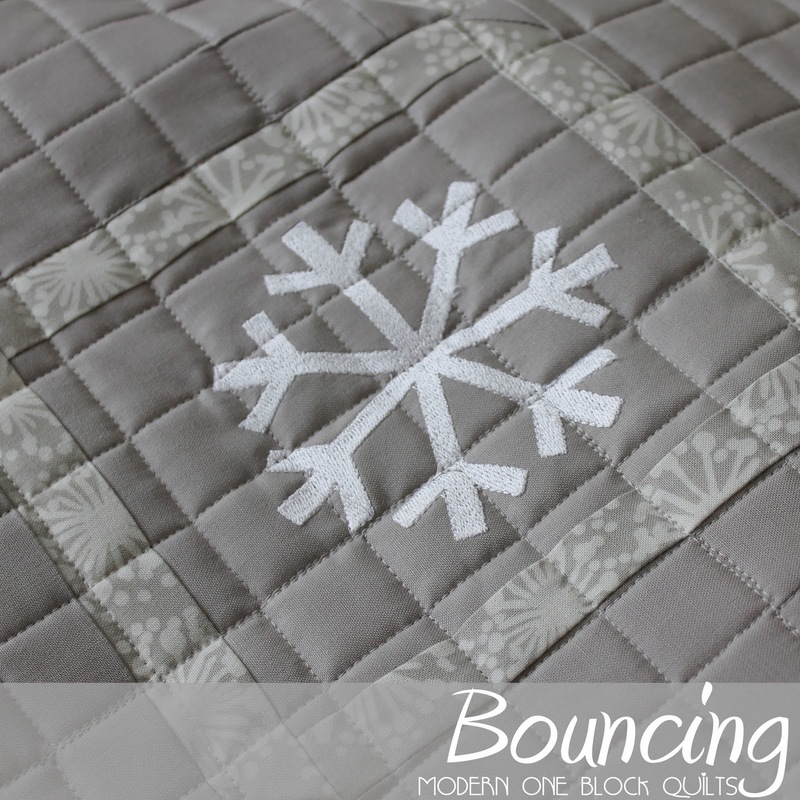 I love that she chose gray, it's so fitting for a winter quilt. 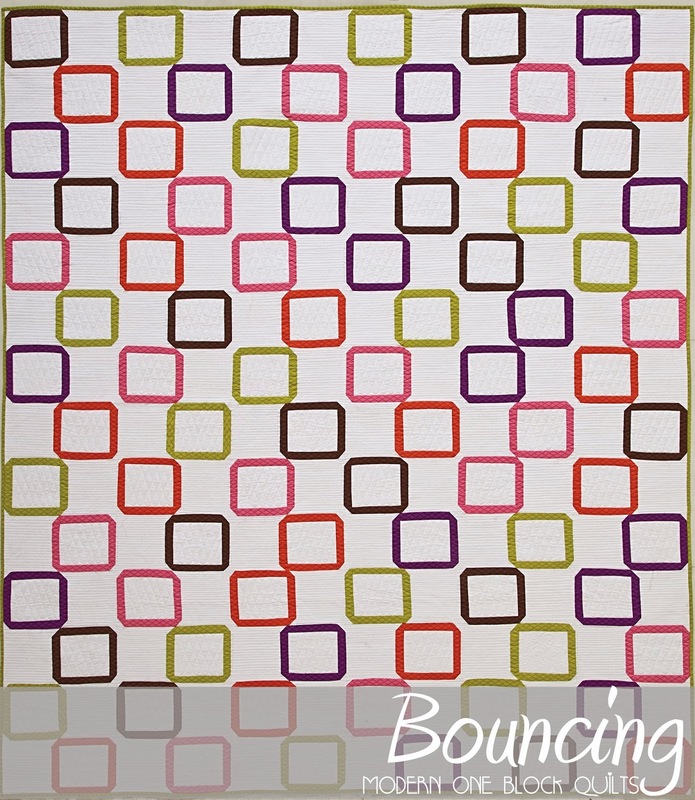 Like all 22 patterns in Modern One-Block Quilts, Bouncing comes with three patterns sizes, Baby 50"x50", Throw 63"x63" and Coverlet 75"x88". Kathleen also came up with the cute idea to add some machine embroidery to this quilt. 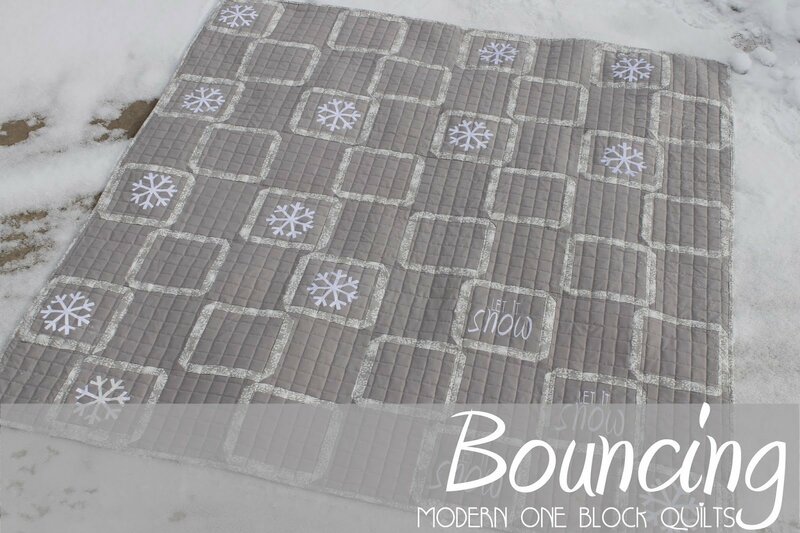 So we added in three Let it Snow embroidery blocks. 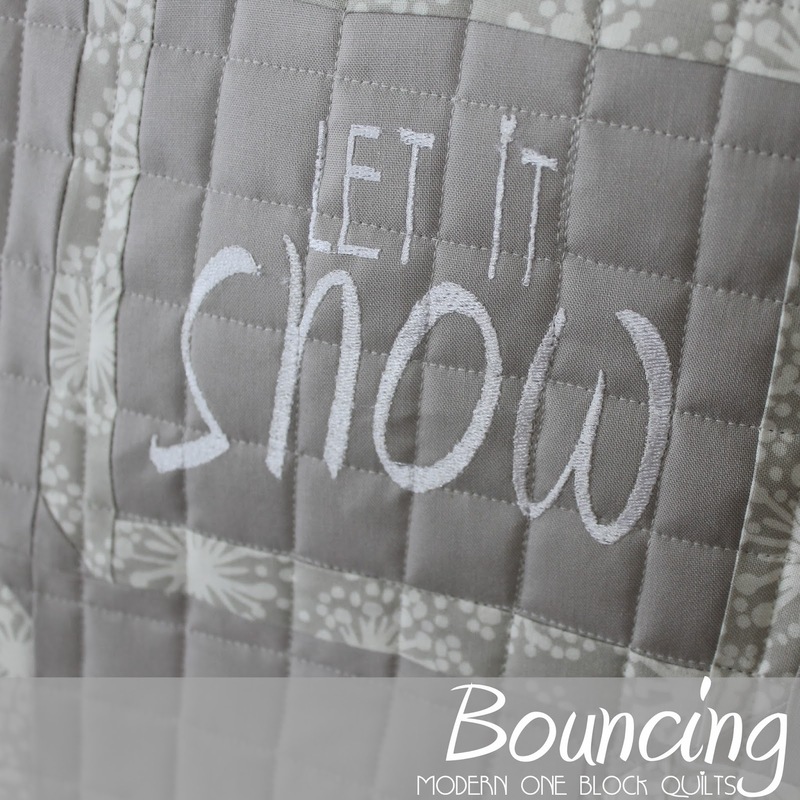 You can purchase and download our Let it Snow embroidery files here. We also added in thirteen machine embroidery snowflakes. You can purchase and download the snowflake embroidery files here. I machine quilted this baby version using our Modern Cross Hatching digital pantograph pattern, that is available for long-arm quilters here. 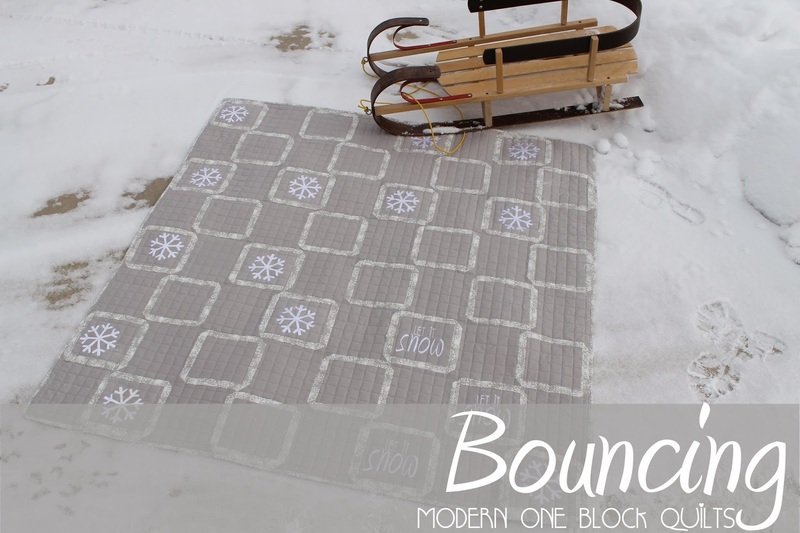 This is the original version of Bouncing, featured in Modern One-Block Quilts. I love how bight and cheery this version is, but it's still really cool to see both versions and see how different the pattern can look. The original version was made using Heaven and Helsinki by Patty Young for Michael Miller Fabrics. 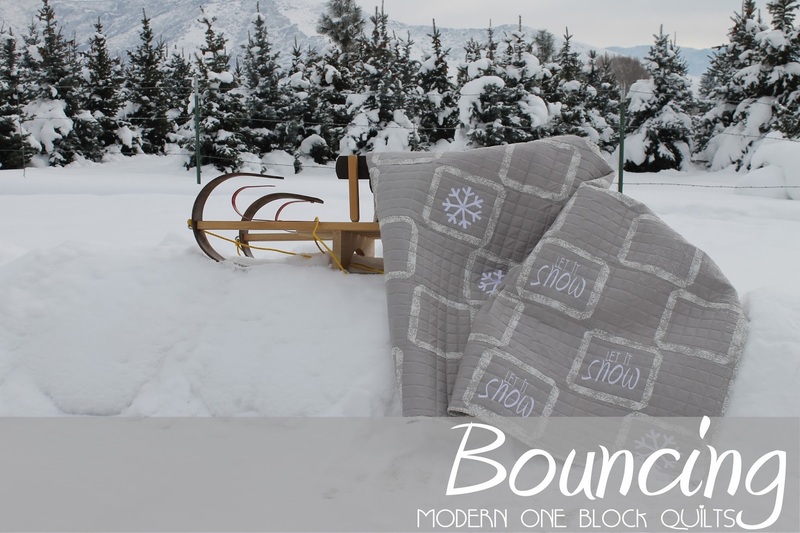 Signed copies of Modern One-Block Quilts are available for purchase here.